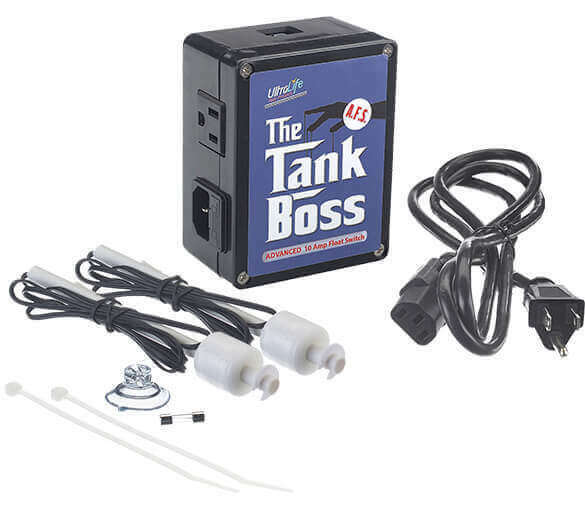 “The Tank Boss AFS” Advanced Float Switch / ATO by Ultralife has made Tank Maintenance easy! Gone are the days of constantly worrying about the water level due to evaporation. Now we have The Auto Top Off ( ATO ) to get the job done. It automates the whole process while making tank maintenance effortlessly easy for us. “The Tank Boss AFS” operates on low voltage (12VDC) and will handle a maximum load of 10 amps. It can be used as a single or dual float. This allows many configurations including operation in a low-water and/or high-water application. It can be configured to act as a float and backup (redundant safety) float. It can also be used as an A.T.O. (Auto Top Off). It can be configured to act as a float and backup (redundant safety) float. It can also be used as an A.T.O. (Auto Top Off). Manufacturer`s Warranty: 1 year from date of purchase.